Pass the tail through the shackle and then twice around the standing end. 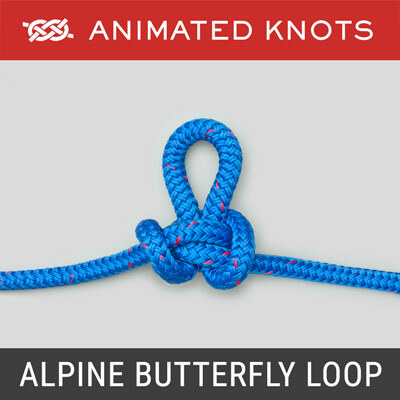 Pass the end through the loop beside the shackle and pull very tight. Trim and heat-seal the end close to the knot. 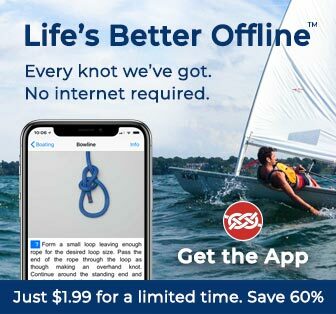 Uses: The Halyard Hitch is intermediate between two of Ashley's knots (ABOK # 1912 and 1913, p 316) which have one less and one more turn respectively. It has been described by owners of Jeanneau sailing boats and appears on the Jeanneau Website. Structure The Halyard Hitch has the same structure as the Stevedore Stopper but is attached to a shackle. When completed the end exits adjacent to the shackle and is almost invisible. By contrast the end of Buntline Hitch exits away from the shackle. 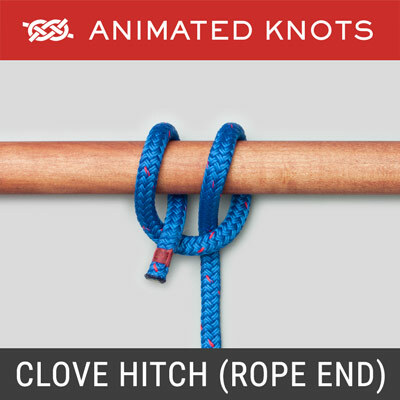 Caution: It is impossible to tighten this knot around a large diameter pole or object; the gap between the pole and the turns remains too large to provide a grip. 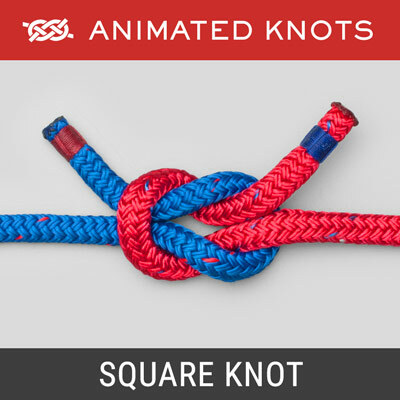 The knot looks neat when the end is cut short and melted by heating. Heat treatment is not possible with modern aramid fibers, e.g., Kevlar®, Technora®, and Twaron® and, with them, the knot would be less suitable. 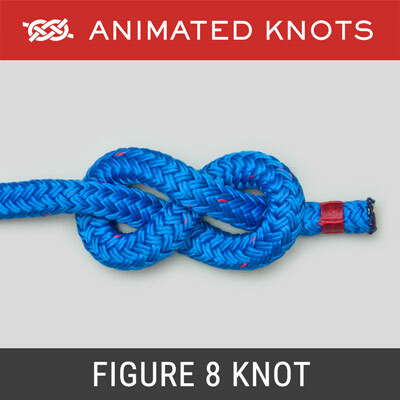 When trimmed short, this knot should never be used for critical loads. 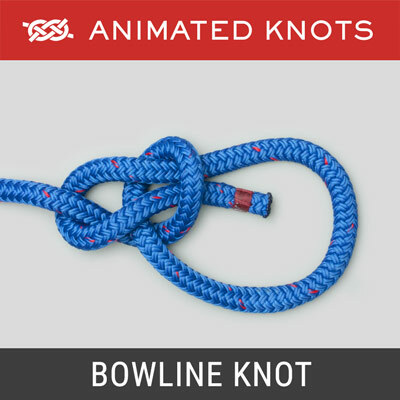 Advantages: The knot is extremely compact which makes it an admirable choice for a halyard. 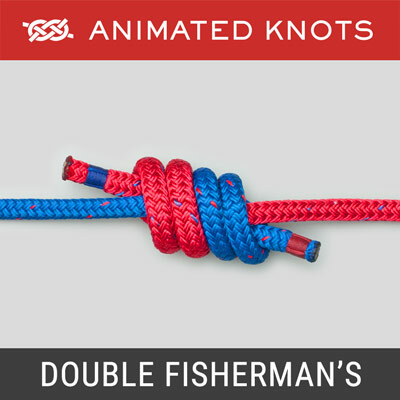 Disadvantages: This knot cannot be tied or untied under load and, after being heavily loaded, it can be hard to release.